That’s what I asked myself after hearing this commercial on KNST in Tucson, during Rush Limbaugh’s radio show. They’re sure as hell not Conservatives! Claiming to be Americans for a Conservative Direction, the spot advocates for the Schumer-Rubio immigration bill. Back when first proposed by Senator Marco Rubio and the Gang of Eight, this spot might have been believable. But not now! When first proposed, Republicans were hoping to do something on immigration in the vain hope of courting Hispanic votes in 2014. And why not? Immigration reform is theoretically a good idea. 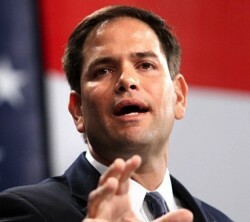 Rubio sounded like he could build on a foundation of strong border security. Senator Rubio had developed strong credentials as a Conservative: he’s considered a Tea Party type, a strong supporter of Israel, a Reagan-esque communicator, with a great personal story. But lately, Rubio doth protest too much. Taking to the airwaves, scrambling to address the major shortcomings of his 2000 page bill – surpassed in magnitude only by Obama-care and Dodd-Frank – he can’t make it fly! It’s a pork-fest of promises, with no beef. Schumer has referred to Rubio and company as “our Republicans.” No real Conservative amendments, such as those offered by Senator Ted Cruz, were adopted lest they upset the delicate balance of Democrat priorities. At this point, Senator Rubio says he can’t vote for his own bill without better border security. Yet, speaking on Univision, he would bequeath legalization first. So what we have is a liberal bill wrapped in a Conservative Senator. Umm, yummy – sarcasm’s word for crap sandwich. Our immigration system is a joke and the whole world knows it. Our borders aren’t secure; our laws aren’t enforced. We don’t know who’s here, what they’re doing, or even why. What we have here is a national security nightmare waiting to happen. Well, that’s all true, right? Except the reason for this situation is not the system, itself. It’s the way that system is implemented and enforced – or more accurately, not enforced. It’s been made a joke on purpose by those that want it broken so they can ‘fix’ it to their own ends. Back in Reagan’s day they said they’d fix it. As everyone knows, they gave amnesty and just never got around to enforcement. Question is, of course, what’s to be done now? Are we going to fall for this again? Conservatives like Marco Rubio and Paul Ryan – they’re working on plans to change that. 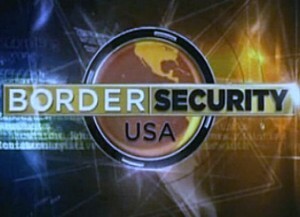 It all starts with real border security – more fencing, more manpower & high-tech surveillance. Next, it will deport any illegal immigrant guilty of a serious crime. Ha! 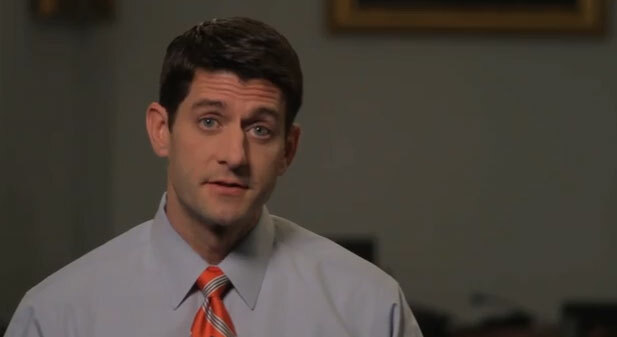 Appeal to authority – if Paul Ryan says so well then what more to say? But so far, no fence, and only unsecured promises of border security, contingent on the agreement of Janet Napolitano, one of Obama’s good soldiers (a True Believer) of the Department of Homeland Security. DHS has “nearly unlimited discretion” over the definition of security, who to allow, and who to deport, just like it has now. Isn’t this the bunch that “released thousands of illegal aliens from Prison – citing budget cuts”? Aren’t these the ones currently not deporting illegal aliens on purpose, against the rule of law? Yep. That’s them. Let’s trust them with this too! Not. Who will enforce the law upon the enforcers of the law? For the rest – no amnesty, period. Unless, by amnesty, you mean the right to work legally in the United States for the rest of their lives, including a path to citizenship, something only hopeful and law-abiding immigrants can only dream of as they wait to be accepted into this country. Oh, sure! If they don’t pay a fine they’ll be deported. Right! File that under ‘DHS discretion,’ as above. As for learning English – nope, only need to be enrolled in a course, and only when finally applying for a “legal permanent resident” green card.